Editor Anjali Doshi makes her selection from Issue 9. We’ll only publish one article from each edition on the website, but you can see the rest if you subscribe or buy an individual issue or bundle. Anjali has selected Tunku Varadarajan’s unflattering portrait of MS Dhoni. He may be calm and unflappable. He may be one of the most unorthodox and exciting batsmen of the modern era. He may be India’s most successful leader. He may have led his country to glorious wins in the World T20 in 2007 and the 2011 World Cup. But does the sum of all these various parts make MS Dhoni a great Test captain? Or will India finally get a chance to make a fresh start in their overseas record and approach to Test cricket? Former Newsweek editor Tunku Varadarajan examines Dhoni’s legacy – and is unafraid to call it as he sees it. Why did Dhoni quit? We know he had lost his zest for Test cricket. The longest form of the game had never been his favourite, and for the last three years a certain distaste had been apparent in his demeanour. It’s possible he fell out of love with Tests on that disastrous tour of England in 2011, when India strutted out for Test cricket having scarcely bothered to acclimatise and were handed a 4-0 hiding by one of the most combative England teams of the modern era. Dhoni’s sentimental rupture with Tests was confirmed soon after in Australia, when India – having first feasted at home on a prone West Indian carcass – lost 4-0 again. His captaincy in Australia was worse than uninspired, with India using only 13 members of their 17-man squad, despite being pounded in Test after Test. (Wriddhiman Saha, the 13thto be picked, played in the fourth Test only because Dhoni was injured.) Dhoni refused to blood Ajinkya Rahane and Rohit Sharma, both young and talented batsmen. He showed an extraordinary unwillingness to experiment. What could have been lost in throwing Rahane and Sharma in at the deep end, at least for the final Test? Dhoni should have quit after that Australian evisceration, but he would not, and India trundled on for three more years with a Test captain who disdained Test cricket. Equally significant, in this writer’s view, was another failure of statesmanship on that tour. During the T20 international at Edgbaston, local (presumably British-born) supporters of the Indian team hurled virulent abuse at Moeen Ali, the Anglo-Pakistani all-rounder. Yet Dhoni refused to take a stand against this behaviour. How hard would it have been for him to say that such bile against a brother-player was unacceptable, that he condemned the booing? Not only would he have won the respect of the British public, he would, in truth, have made a salutary contribution to British society in setting straight those errant, Tebbit-tested India fans. Indian Test cricket will benefit from Dhoni’s retirement. He had become a detriment, pulling his side with him into a downward spiral. India are now ranked seventh in Test cricket, a far cry from No.1. Dhoni was all too blasé in defeat – which Ganguly, India’s greatest Test captain, never was – and his reactions to loss after overseas loss came to be anodyne, a collection of ever-so-slightly verbose platitudes. He had lost the ability to instill fight in his team. England scored 569 for seven and 205 for four at the Rose Bowl last year, and he had this to say about the bowling: “I think Bhuvi seemed a bit tired. He came back nicely after that first spell, but I thought he was on the shorter side…. Apart from that, I am quite happy with the effort put in by the fast bowlers. 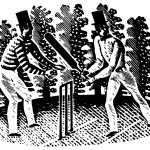 It was a different kind of wicket, where you have to hit the surface hard to get some purchase. That’s where I found Pankaj very impressive. He is a tall guy and got a fair amount of bounce and was unlucky not to get a few wickets. Overall I am happy with him.” Pankaj Singh’s figures? 37-8-146-0 and 10-4-33-0.